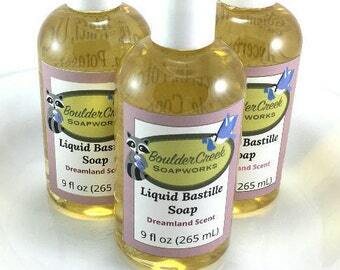 Announcement Welcome to Boulder Creek Soapworks! You work so hard, and you do so much for others in your life and in your work! You deserve to treat yourself to handcrafted soaps that are gentle to the skin, nourishing to the soul, which smell and feel terrific, and come labeled with my cute logo that you can't help but smile at! 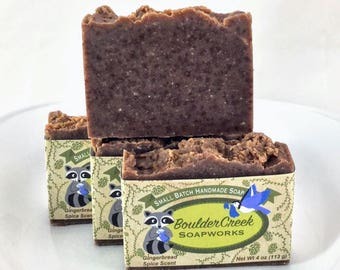 Grab your softest and thickest towel and your favorite bar of Boulder Creek Soapworks soap and bring them down to the creek- the Raccoon and Blue Jay are waiting for you! Also, treat yourself to extra goodies like bath bombs, lotion bars, and lip balms! As required by law, sales tax will be added to all purchases shipped to Colorado. 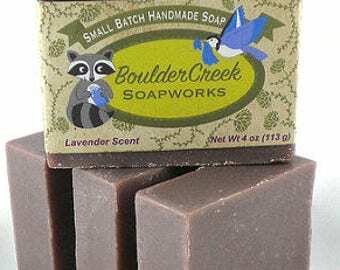 Welcome to Boulder Creek Soapworks! You work so hard, and you do so much for others in your life and in your work! You deserve to treat yourself to handcrafted soaps that are gentle to the skin, nourishing to the soul, which smell and feel terrific, and come labeled with my cute logo that you can't help but smile at! 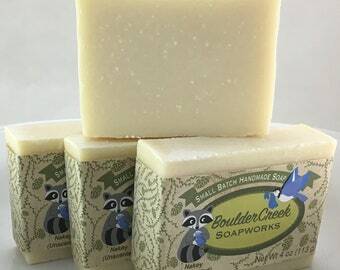 Grab your softest and thickest towel and your favorite bar of Boulder Creek Soapworks soap and bring them down to the creek- the Raccoon and Blue Jay are waiting for you! Also, treat yourself to extra goodies like bath bombs, lotion bars, and lip balms! 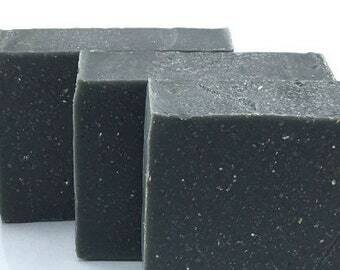 Lovely soap, nice natural scent not perfume-y. Generous size, good value, fast ship, great communication, will definitely buy again. Great little foamer bottle - arrived on time and as described. Thanks! This soap net is awesome! I had one that lasted over a year and was so e=happy to find it on Etsy. I don't want to be without one. A collections of soaps that I made for my Valentine's Day "Soapen House" soap sale at my home, February 2015. Soaps curing on the rack. My mini display at the Mind, Body, Spirit Fair at the Denver Merchandise Mart, Spring 2017. Before my shop became Boulder Creek Soapworks, it was Judy's Ami Shop, and I was selling crocheted stuffed animals. It wasn't until 2016 that I began to sell soap on Etsy I started making soap in 2012 because I was curious about the whole process! All of my soaps and bath and body products are vegetarian and cruelty free (They may contain beeswax, or cruelty free Tussah Silk). 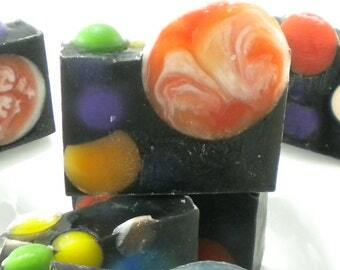 I use essential oils and fragrance oils to scent my soaps. (Sometimes fragrance oils are preferable to the essential oil because some essential oils come from endangered botanicals such as Sandalwood, Dragon's Blood, and Rosewood trees. Other essential oils may not be safe or are prohibitively expensive.) I weigh the benefit of each essential oil, and fragrance oil and make a judgement on which is the safest and best for the product. I do a similar assessment when choosing colorants for my products. 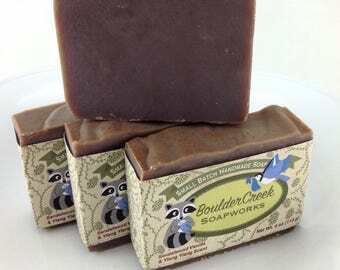 I hope to make Boulder Creek Soapworks a financially sustainable little business for myself. I am a one woman show! I am constantly educating myself on business and soap making. 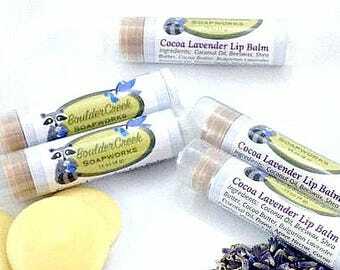 I recently attended the 2017 Handcrafted Soap & Cosmetic Guild Annual Conference to further my education and meet other soap makers. When you purchase from me, you are supporting a very small, woman-owned, local (depending on where you are!) business, and helping make my dream come true! 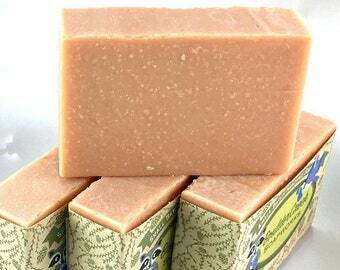 And you get a safe, wholesome, environmentally conscious, bar of soap- made with love that will make you smile! I live in Boulder, Colorado with my husband, cat, chinchillas, and three big goldfish. I like acting in community theater, doing Improv Comedy, stargazing, bird watching, crocheting, and exercising. 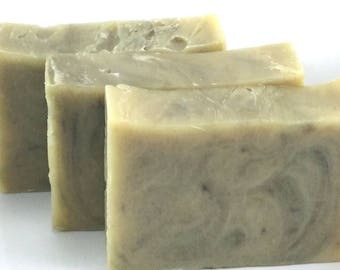 I've been making handmade soap since 2012. 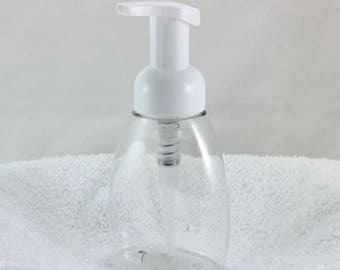 BEAZ LLC makes The Simply Body Soap Net. They are a small business. 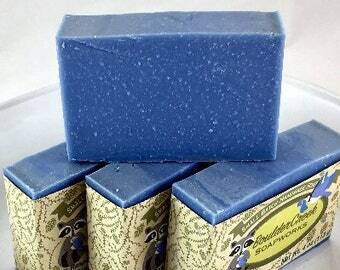 Like me, they are also members of the Handcrafted Soap & Cosmetic Guild. 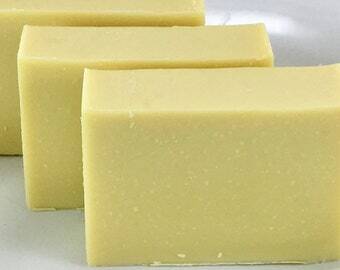 In addition to selling directly to the public, they also sell wholesale to makers of handmade soap. We are allowed to sell their products retail. Mile High Soap is a soap supply retailer.